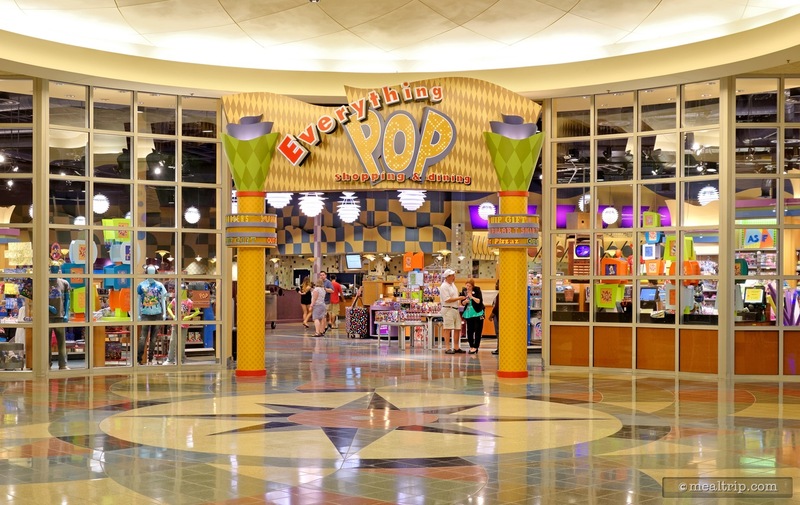 The Everything POP Food Court - Breakfast listing is a Counter Service (quick service) dining location at Disney's Pop Century Resort featuring American cuisine. There are 4 photos in the Mealtrip photo gallery for this location and dining period. 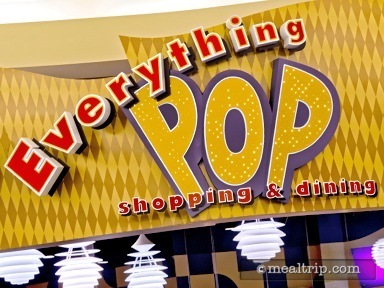 The Everything POP Food Court - Breakfast listing currently has a score of out of 100. 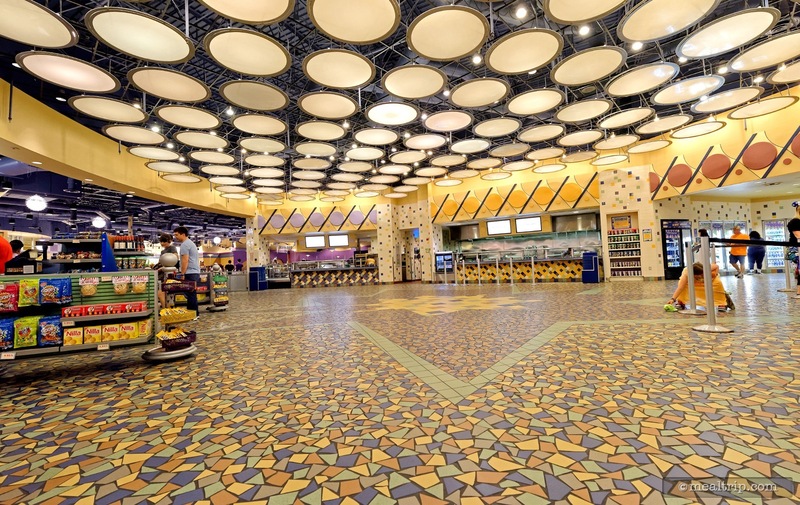 Click here to read all of the reviews for this location, or log in to Mealtrip.com to add your own review for Everything POP Food Court - Breakfast. 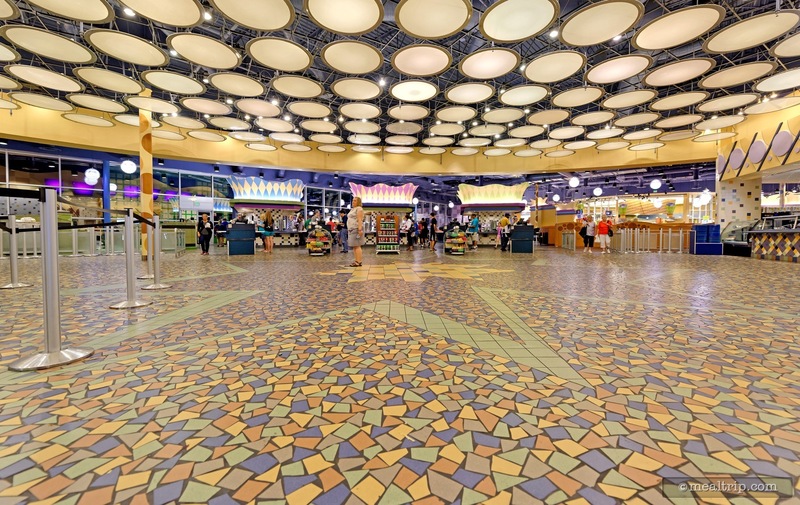 The entrance to the Everything Pop Food Court early one morning for breakfast. You have to go into the gift shop a little bit, before you can actually see the restaurant. 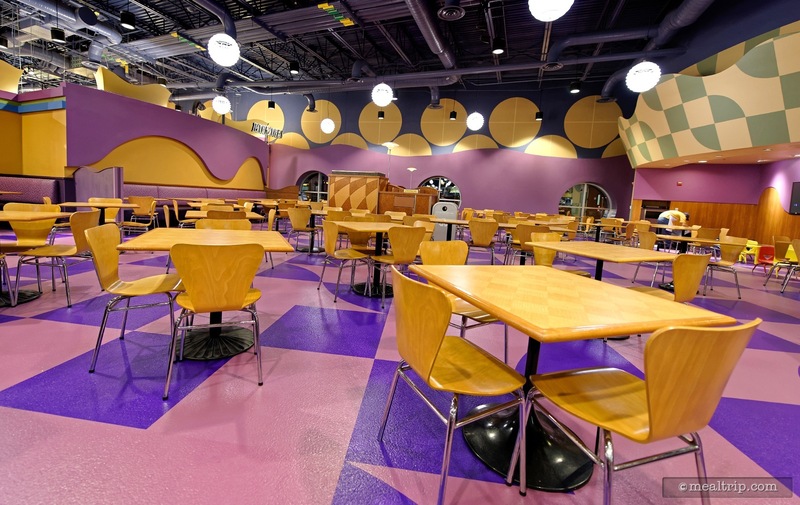 The purple room is one of the dining areas at Everything Pop. A couple of the food ordering and pickup windows at Everything Pop during breakfast. The large, open design touches here are very cool. Opposite the food-court area is this bank of registers at Everything Pop.